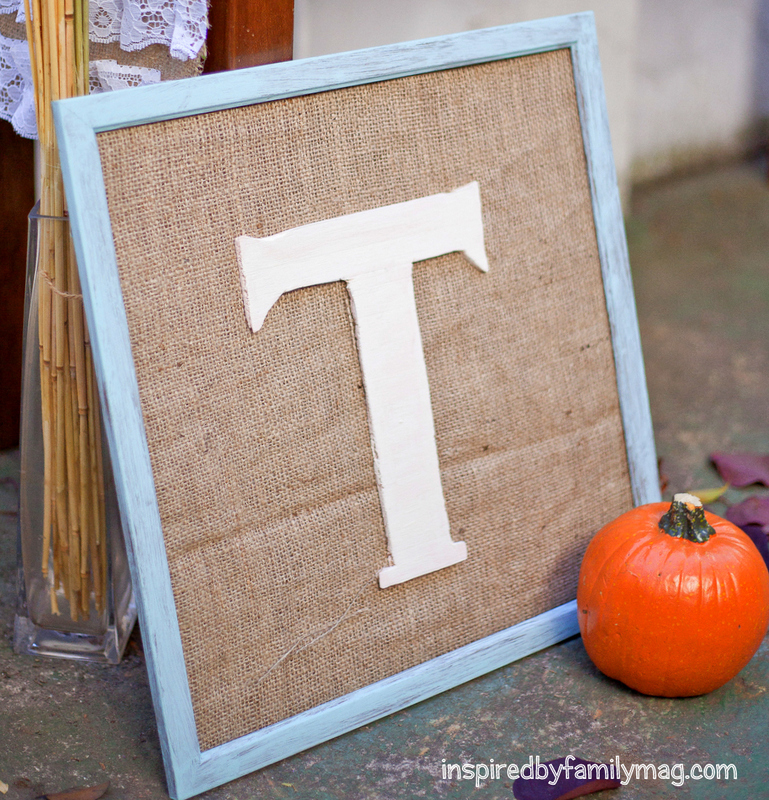 Doesn’t this Monogram on Burlap Frame scream FALL! I love the colors and the rustic look the burlap gives this project. I decided to go with a burlap and lace theme for our dining room this Fall, I can’t wait to share it with you. It was simple and inexpensive to put together, so stay tune via Facebook, Twitter or Feedburner. For this project I just used things I had at home. 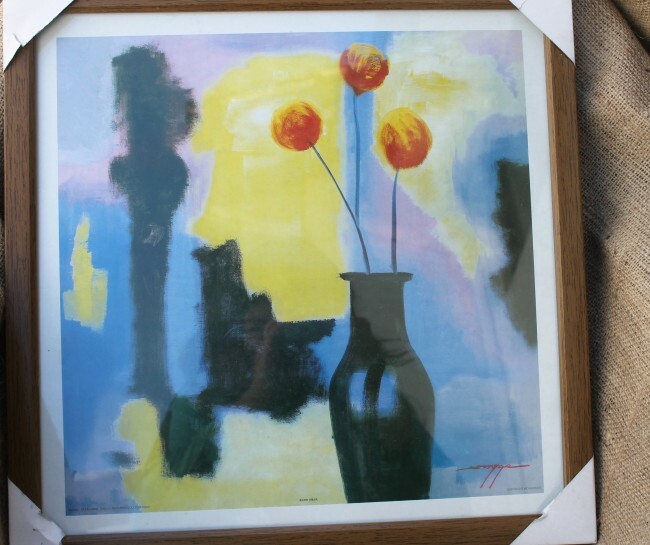 I bought this “not my style” picture for $4 and trashed the picture and re-did the frame. I used Robins Egg Blue paint to cover the frame and just did one coat so that the wood frame under would slightly show, to give it a rustic look. I covered the backing on the frame with burlap and used masking tape to keep it together. 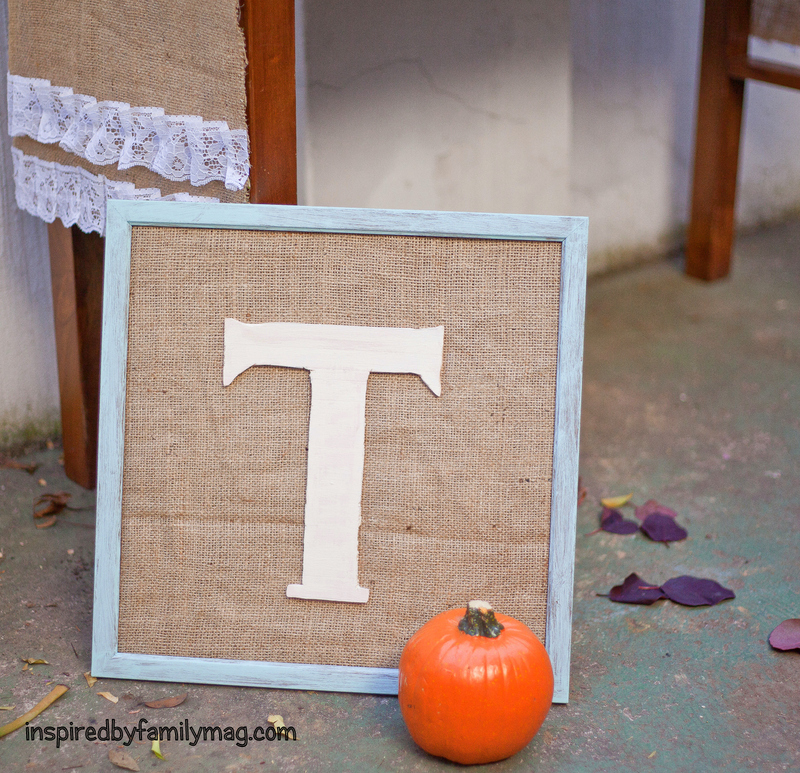 Then I painted my monogram with Ivory paint and hot glued it onto the burlap. I shared here some tips when working with burlap, read it if you haven’t worked with burlap before. I did not place the glass back on the frame. That took me about 25 minutes because I made my letter T from chipboard but if you are just painting a bought letter this is a good 12 minute project. The cost $4 for the frame the rest of the supplies I had on hand. First and third picture are from Carla Ackermann Photography and were featured in the Celebrate Fall Issue. This is so adorable! I can see having these for my daugher above her bed! Love this idea! Stephanie, I love that idea for a room. Thanks for sharing! Great idea! And so easy to do! This looks just the the Tennessee Vols T, if it was orange! The fans are crazy here lol! Anyhow, this is a very neat idea! Love it! Such a great idea! Thanks for sharing!